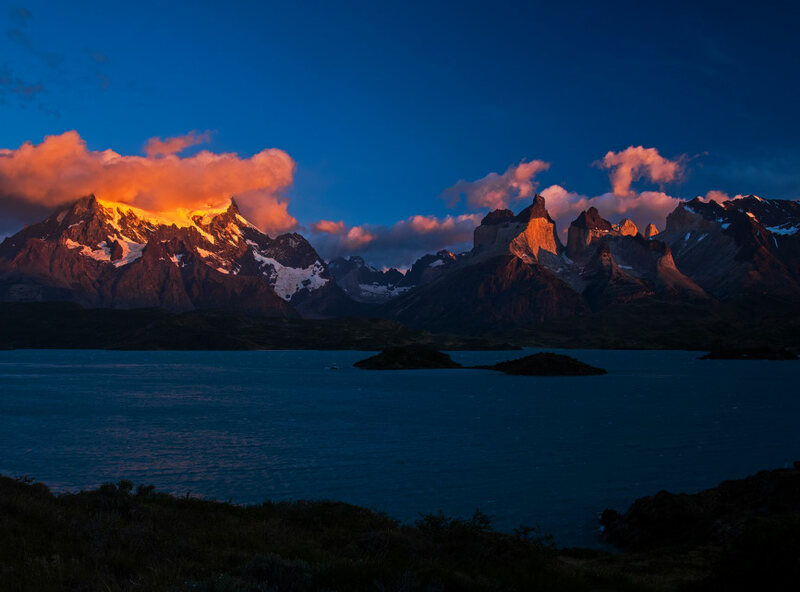 Torres del Paine National Park is a UNESCO Biosphere Reserve that lies in Patagonia, in southern Chile. 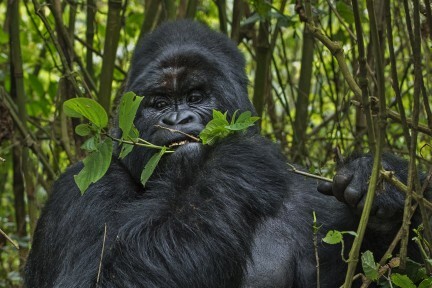 It is a vast protected area, over 2,500-square-kilometres, with many different ecosystems and physical features: stunning glaciers and lakes, forests and grasslands, mountains and granite massifs. The park is dominated by the Cordillera del Paine or Paine Massif mountains, which lie in between the Andes and the Patagonian steppe. Several turquoise lakes dot the park; the best-known ones are Lagos Grey, Pehoé, Nordenskiöld, and Sarmiento. The three towering granite peaks of Torres del Paine (pronounced pie –nay), after which the park is named, are sometimes enveloped in mist and cloud, at other times every crack and layer seems to be visible from afar. 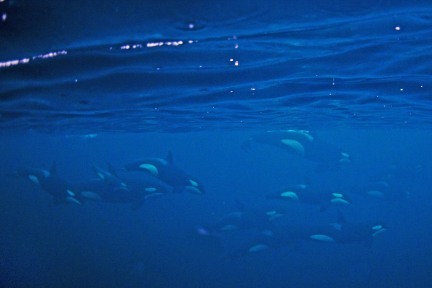 Besides its geological beauty, the park’s other big attraction is animal life. Primary among the mammals seen here are guanaco and its predator the puma. Over a hundred species of birds live here, including the flightless Darwin rhea, and the mighty Andean condor with a wingspan of three metres. 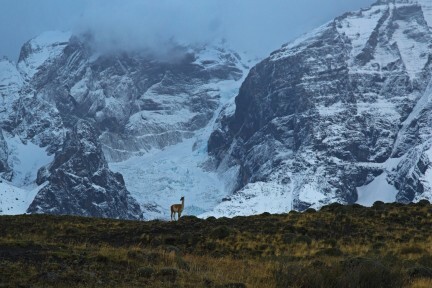 Spectacular as the park is, the climate of Torres del Paine National Park is harsh and fickle. Sunny days can break into fierce storms in minutes. The winds are notorious and sometimes clock 90 kmph. But that does not deter the thousands of visitors who come here each year to trek or horseback ride its gorgeous trails. The three granite peaks are the Torres del Paine or “towers of blue”. 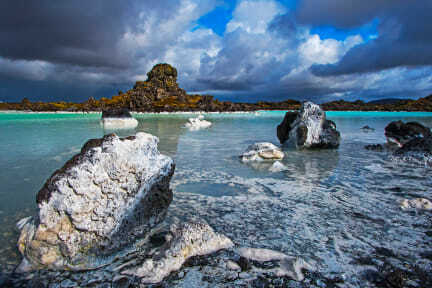 They are surrounded by spectacular glaciers and glacial lakes, rivers and waterfalls, wildlife and wilderness. 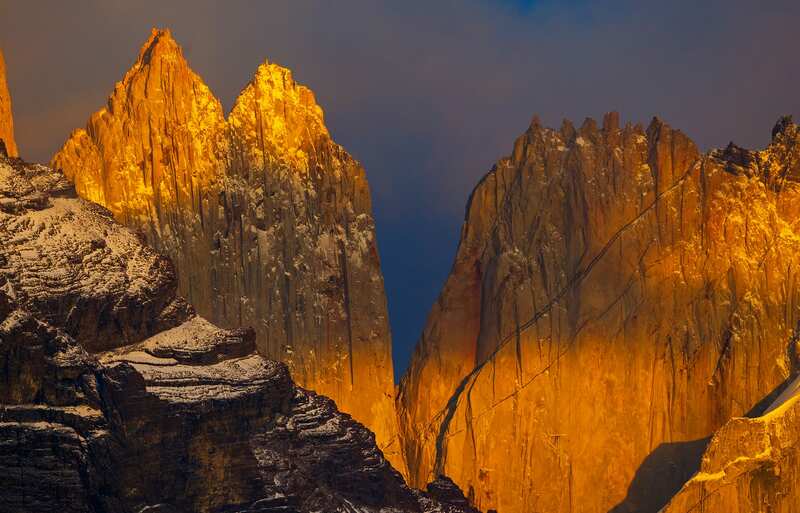 At sunrise, I caught them looking more like slabs of gold, dusted with bits of snow, than blue granite. 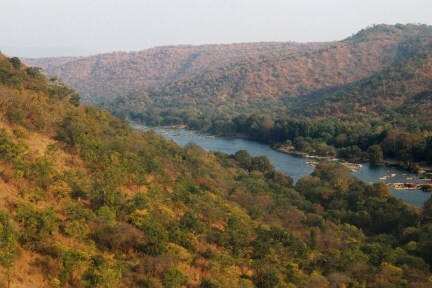 The park is extremely popular with adventure seekers for hiking and trekking, especially in January and February (the summer months in the southern hemisphere). Waking up early I caught the first rays of the sun hitting the tops of the snow-capped peaks. Lago Grey, the lake in front, is fed by a nearby glacier. At that early hour it was super windy and cold. While driving through the national park we spotted this herd of guanacos at the edge of a cliff where it meets the road. Habituated to seeing vehicles, they waited patiently for us to pass before crossing the road. A fairly common bird in Patagonia, I caught this southern crested caracara feeding on an abandoned kill when it suddenly started raining and then stopped. 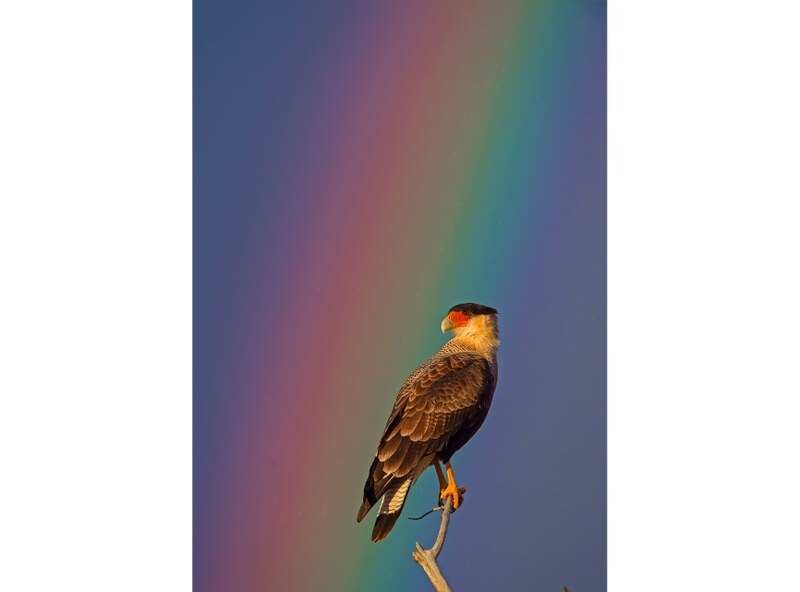 A rainbow soon filled the sky and created the perfect backdrop for displaying the striking patterns on the plumage of this bird of prey. Locally called carancho, the caracara is the second largest falcon in the world and brazen in its hunt for food. 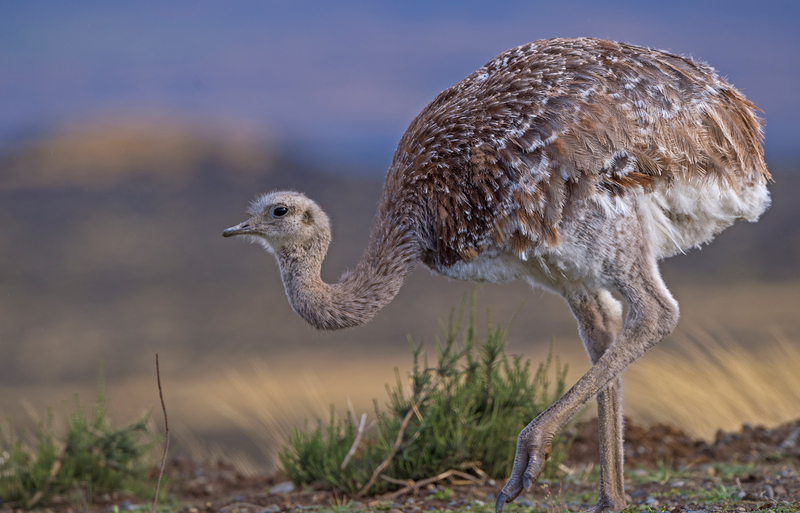 Lesser rhea or Darwin’s rhea is a flightless bird that lives in small groups in the grasslands of the Torres del Paine. At one metre in height it looks like a small ostrich, which incidentally is a distant cousin. This ground-dwelling bird can run up to 60 kmph when it senses danger. Interestingly, male rheas will mate with several females who then deposit the eggs with him. 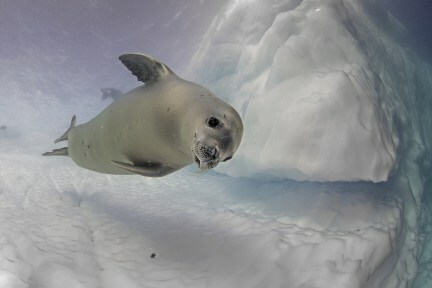 He then incubates them and looks after the chicks when they are born. Approximately 50 pumas live in this park. 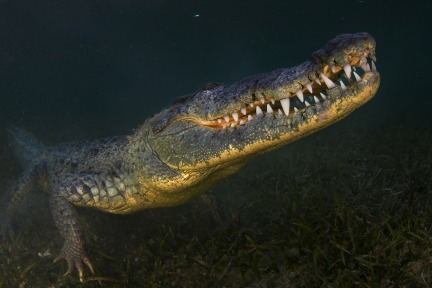 They are sleek and graceful creatures with strong night vision. 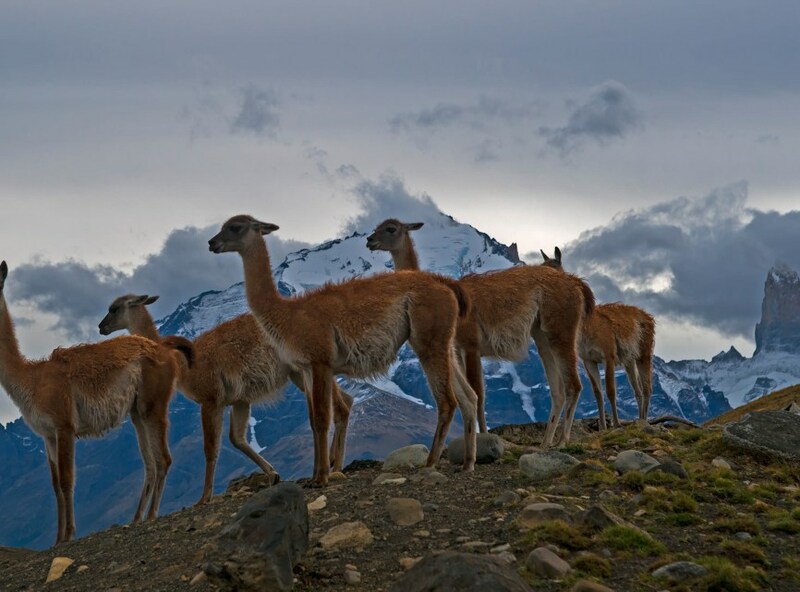 Cunning and stealth is what gets them prey, as they cannot outrun the guanaco. 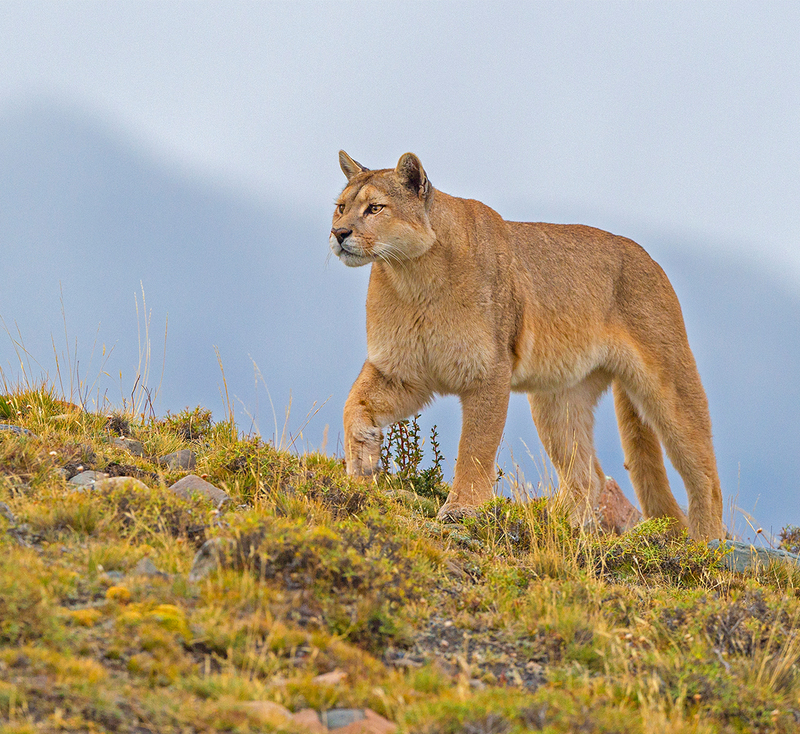 A puma will cleverly stay downwind of a herd of guanaco so they don’t pick up its scent. 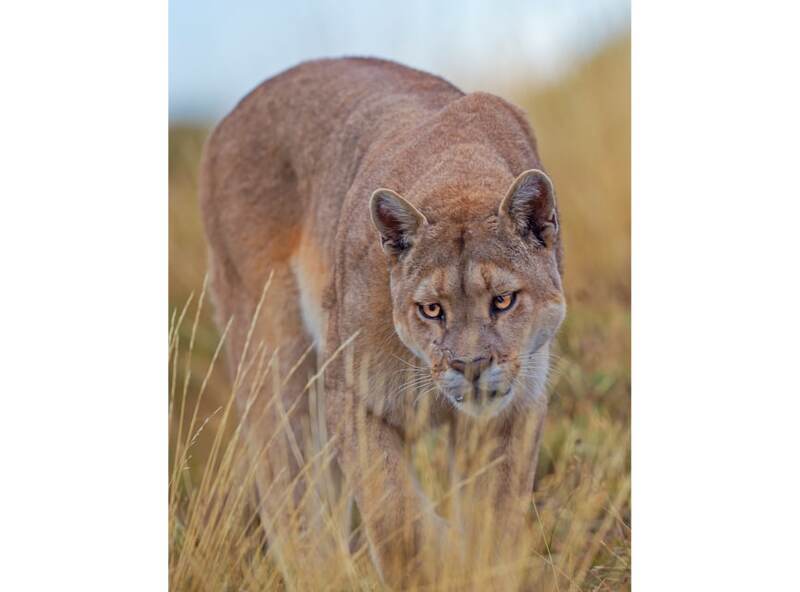 Pumas are an essential part of the ecosystem, providing food for other scavengers and keeping the guanaco population from increasing too much which could lead to pastures being overgrazed. 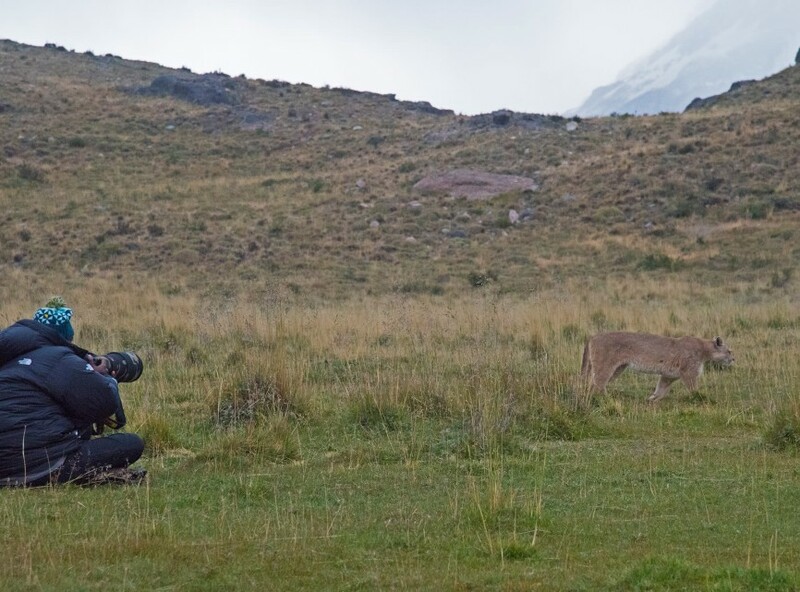 In the vast, empty grasslands puma is the apex predator, feeding mainly on guanaco, but also on sheep and goats that graze in the park from the neighbouring estancias. Tracking pumas in the huge park is tough. Expert guides are required. 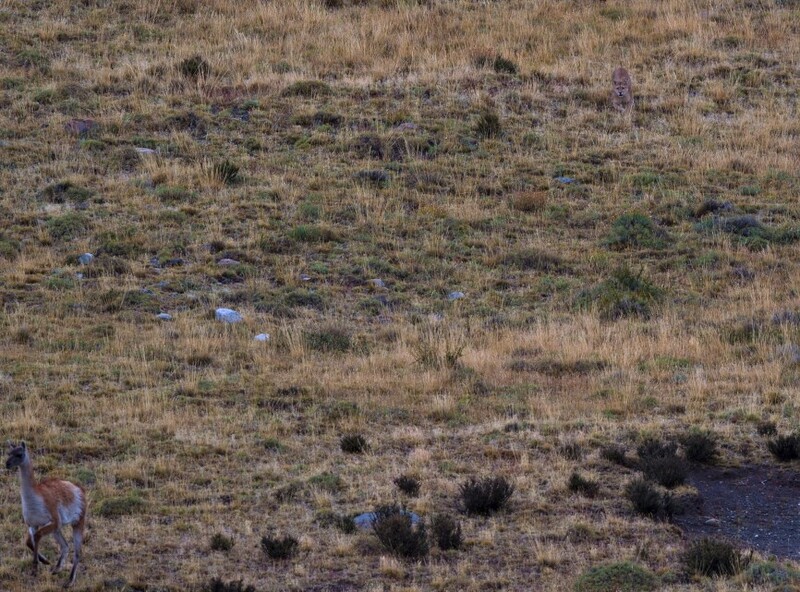 Pumas don’t roar and are so well camouflaged that you can barely spot them in grasslands (notice the one in the top right of the image). 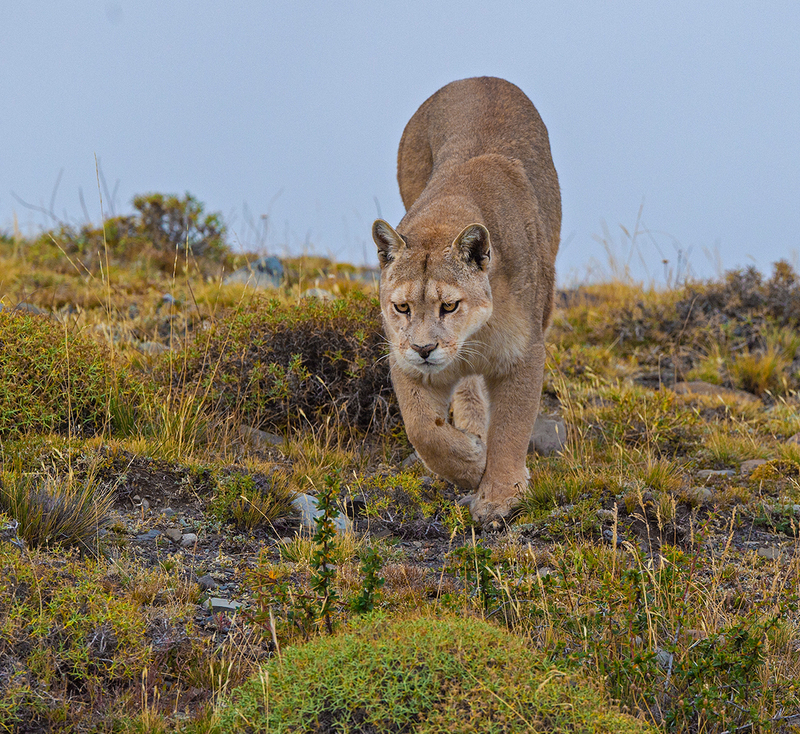 The best giveaway for a puma is when you see hear a guanaco’s warning cry or see them galloping away at great speed. To find them, watch their prey. 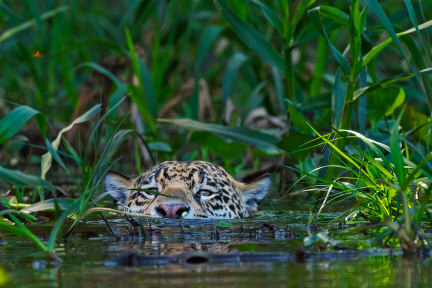 Or locate a kill and you can be sure they will be lurking close by. 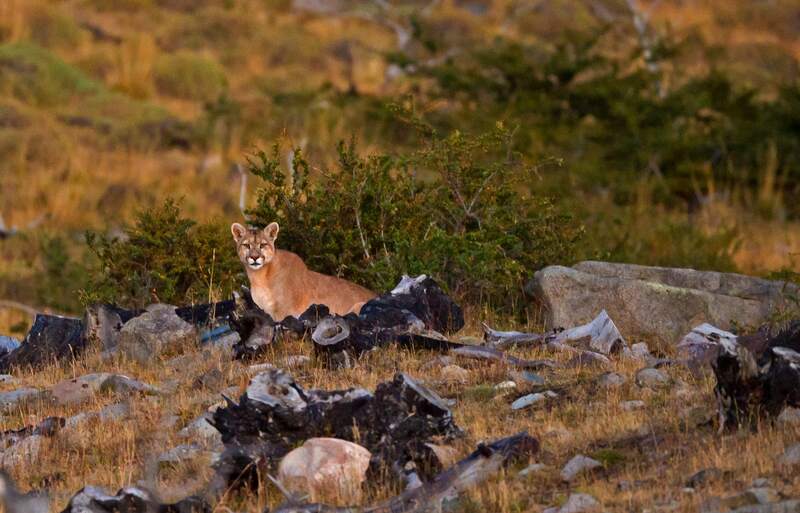 Solitary hunters, the pumas of Torres del Paine are among the largest seen in South America. This particular puma was big, probably a male, and very shy. We’d spotted its kill the previous night and came back in the morning to see if we could track it. While tracking the puma in the park, I spotted a female stalking some guanaco with her two cubs. I waited a hundred metres away, predicting she would walk my way. She seemed unbothered by my presence and comfortable enough to walk right by me.